Hello, have you ever wondered what it would be like to travel the galaxy while at the same time being a crucial part of the daily activities of the Empire? Well now is your chance! Join Imperial Intelligence today and we will train you to in the arts of espionage, infiltration, counter-intelligence, and of course, self-defense! Currently we are looking for agents to join the Bureau of Internal Organization, or more commonly known as IntOrg. IntOrg serves as the internal affairs and internal security apparatus. 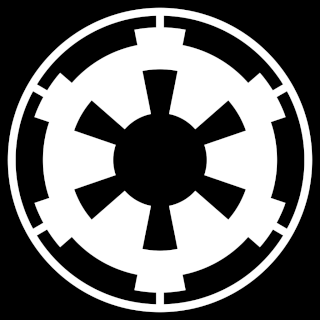 Our goal is the security of Imperial Intelligence both from an espionage and operations scale, as well as a physical security. We are separated into two branches: The Internal Security Branch, or IntSec and the Internal Counterintelligence Branch, or IntCon. The Internal Security Branch: This branch is the police force of intelligence. As an IntSec agent, your duties will involve protecting Imperial Intelligence locations and assets from those that wish to physically harm it. You will be trained in advance security tactics as well as being able to spot trouble in large civilian crowds outside of our facilities. Internal Counterintelligence Branch: This branch is a miniature version of Imperial Intelligence. It includes three divisions: Analysis, Operations, and Intelligence, which are small versions of the three bureaus. If you ever dreamed of being a secrete agent, this would be the branch to join! Still not interested or perhaps another bureau suits you? That is no problem! Here at Imperial Intelligence Compound Resh we are currently accepting agents from all bureaus so long as they have proper authorization and permission from the Compound's Overseer. So what are you waiting for? Sign up today! Hello, I hope you liked our IC Ad! As you can probably tell, we are Roleplayers interested in roleplaying agents in Imperial Intelligence. Our main headquarters is right outside Savareen, known as Resh. We also have a small outpost on Tatooine called Isk. We have also have recently agreed to work with Outpost Beta which is owned by Kolana (PS23) run by Taylone. Icly we provide intelligence for them as well as conduct our own operations. These include anything from a simple intelligence gathering to something much larger as in taking part in the assassination of a high valued target. As our IC message said, we are primary IntOrg but we also accept the other bureaus and divisions including the Inquistorius! We have also been tasked with taking charge of the ISB. As of 12/22/2014, we are currently looking for someone to take lead of such a large project. This person would need to know everything about the ISB and must be the rank of Captain or higher to qualify for the leadership position. I hope we made you interested! If you have any questions or are are interested in joining, please contact Jaxon or I on the forums or contact anyone with the tag <Intel> in-game and we will get back to you as soon as we can!